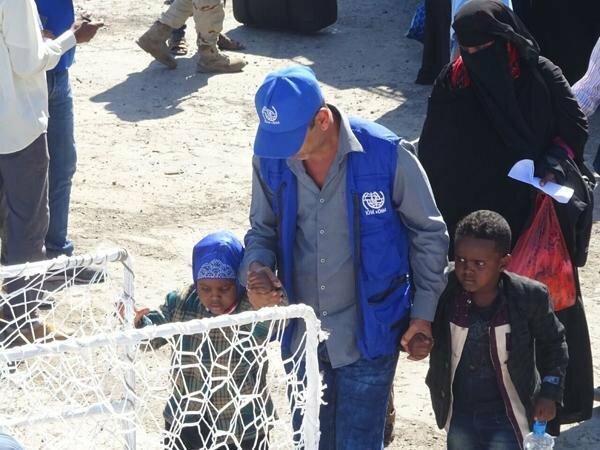 The International Organization for Migration (IOM) is continuing its efforts to repatriate migrants in Yemen, where the ongoing conflict has put foreigners at risk of abuse, violence and death. The International Organization for Migration (IOM) has said that it is continuing its efforts to help migrants in difficulty in Yemen to return home. In the last trip on March 12, a total of 41 Ethiopian migrants, and one Croatian, were repatriated from Al-Hudaydah and 144 Somali migrants were were repatriated from Aden. Since March 2015, the conflict in Yemen has negatively affected both Yemenis and migrants, and the closing of most of the country's ports has stopped foreigners from going home on their own. Through its assisted voluntary return program, the IOM is providing support to migrants in Yemen to help them return to their countries of origin. In the city of Al-Hudaydah, the IOM has set up a Migrant Response Point (MRP) that provides shelter, food, medical assistance and other humanitarian aid to migrants who are experiencing difficulty. In the March 12 repatriation, a total of 42 migrants (41 Ethiopians and one Croatian) got onboard a ship and left from the Al-Hudaydah port for Obock in Djibouti. They were welcomed by IOM staff at the port and then helped to return to their countries of origin.